You are currently browsing the tag archive for the ‘Aboriginal art’ tag. 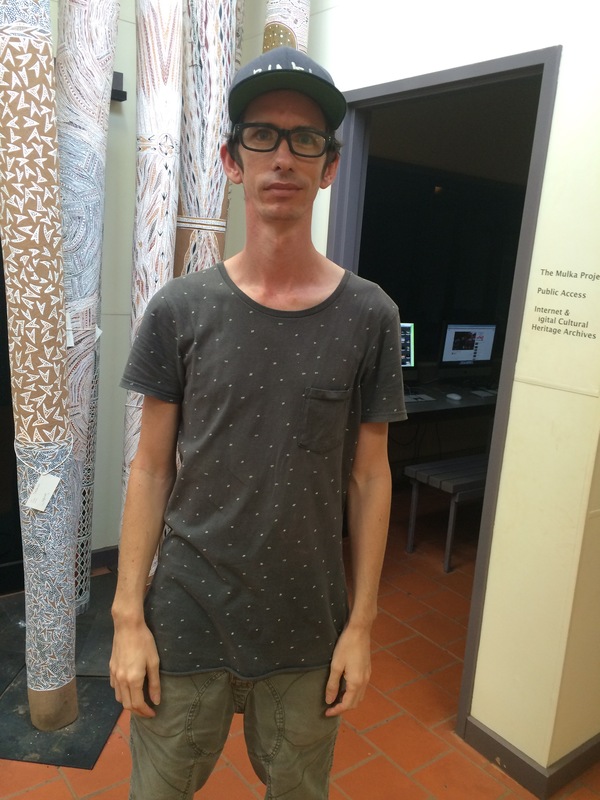 Since January 2015, I’ve been working with the eminent art historian Ian McLean and the irrepressible Margo Neale, Senior Indigenous Curator at the National Museum, on a wonderful project funded by the Australian Research Council: to investigate and document the little known but influential relationships between Aboriginal artists and close white associates. 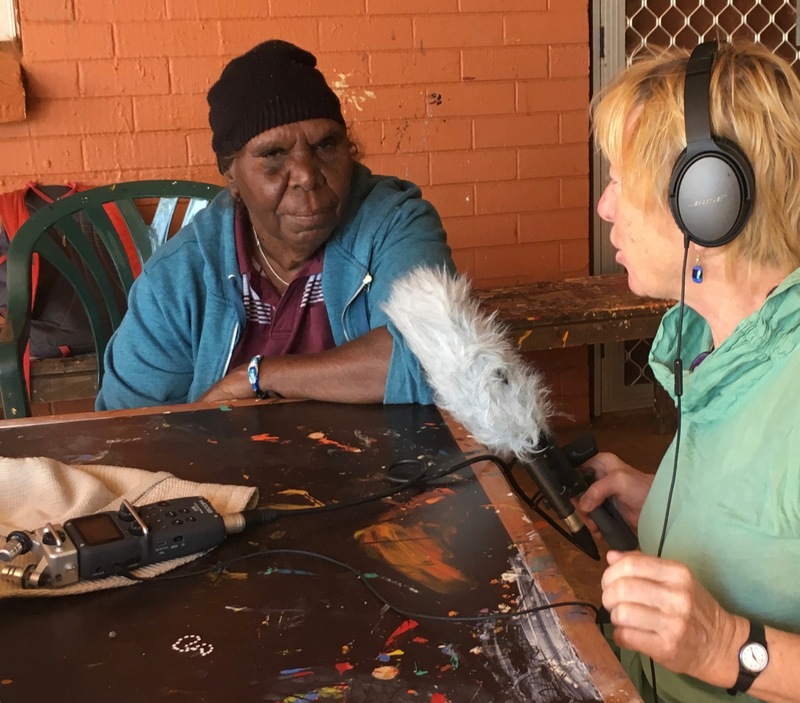 I’ve recorded 30 oral histories, in two remote and one urban setting. 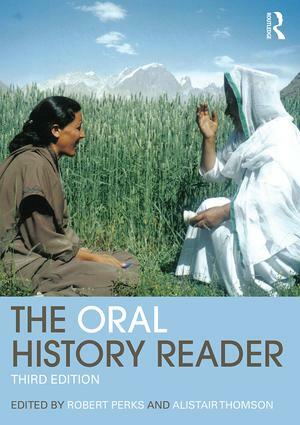 We are donating this revelatory interview collection to the National Library of Australia, where it will be available as a research resource. But first, I’m mining it for a podcast, called Heart of Artness. 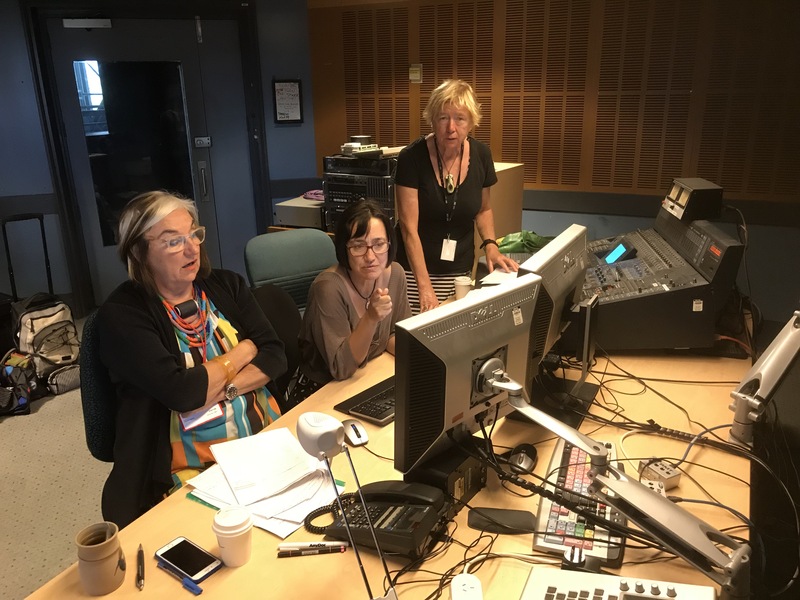 At the ABC, Sydney working on The Conquistador, the Warlpiri and the Dog Whisperer, March 2018. Margo Neale (presenter), Claudia Taranto (Executive Producer) and me (producer). It’s been an enlightening and extraordinary journey. Sitting by a river, 300 kilometres from anywhere in Yolgnu country in tropical Northern Australia, listening to Yinimala Gumana describe how his great-grandfather came back from a hunting trip in 1911 and found about 30 dead bodies floating there: they’d been massacred in a ‘punitive expedition’ after a white surveyor went missing. (The surveyor turned up unharmed.) And then a tragedy in Yinimala’s own life, when a friend and ranger colleague was taken by a crocodile at the same spot, in 2018. 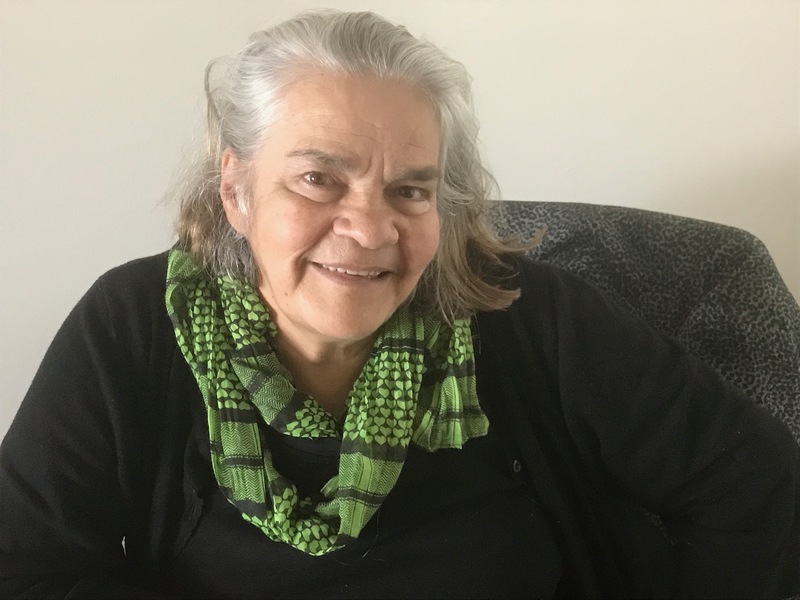 Learning to understand the two Chilean women whose tough pragmatism has earned the approval of the Warlpiri artists who employ them. Cecilia Alfonso and Gloria Morales have increased the turnover of their desert art centre from 300 works produced in a year to 8000. With artist Richard Bell on top of the MCA, Sydney, which holds his work. 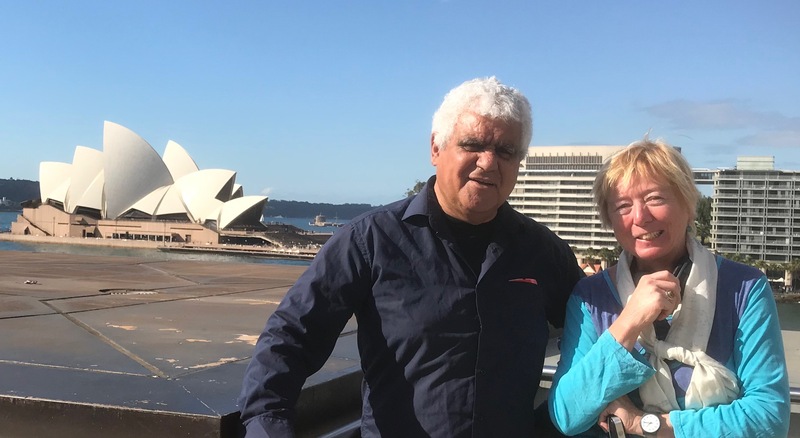 Sitting with artist Richard Bell in the Museum of Contemporary Art in Sydney, with Sydney Harbour glittering outside the window, as he fulminates about the “Captain Cook Cruises” going past – a reminder of the British invasion that cruelled his people and tried to quell his culture. ‘ I’m Irish – they practised on us,’ I tell him. ‘For 600 years, before they got to you.’ It instantly changes the dynamic. What follows below is a version of an article that Ian McLean and I wrote for The Conversation. To find out more, visit the Heart of Artness website and listen to the podcast. Five episodes are up now (Nov 2018). Four to come: on early days in Yuendemu in the 1980s and on the edgy proppaNOW movement of Brisbane, featuring artists such as Bell, Vernon Ah Kee and Jennifer Herd. … so Richard Bell declared in 2002. But as we discovered investigating this white thing, it’s also full of ‘positivity’, to use a favourite Bell expression. Not all that is white is evil. As in sport there is much more to the art world than the stars, the artists, and this much more is mainly white. Largely invisible in the hype around Aboriginal art, we wanted to know about these invisible white men and women. 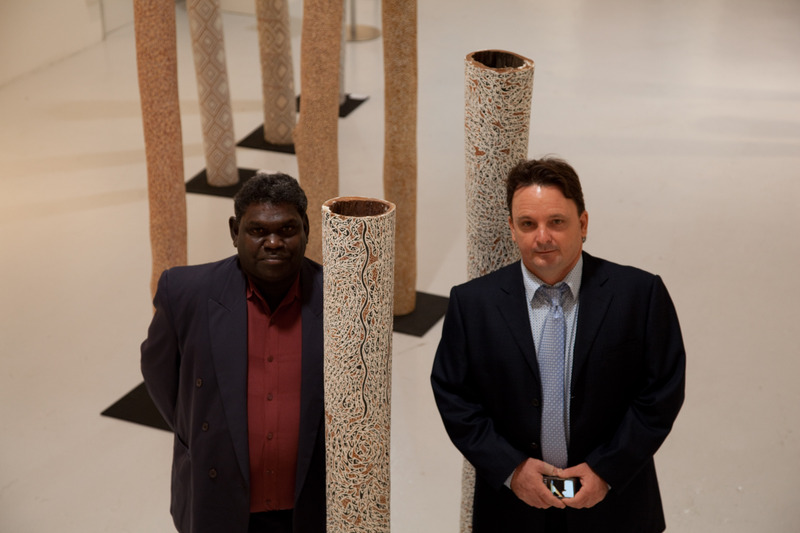 Artist Wukun Wanambi and art centre manager Will Stubbs, Yirrkala 2010 (photo: Buku-Larrnggay Mulka Centre). Issues of power and identity are equally fundamental to the art produced at Buku-Larrnggay Mulka, a Yolngu owned and run art centre in Yirrkala, 600 km east of Darwin. Its art also comes from the artists’ lived experience, in this case of an unusually intact Yolngu culture. 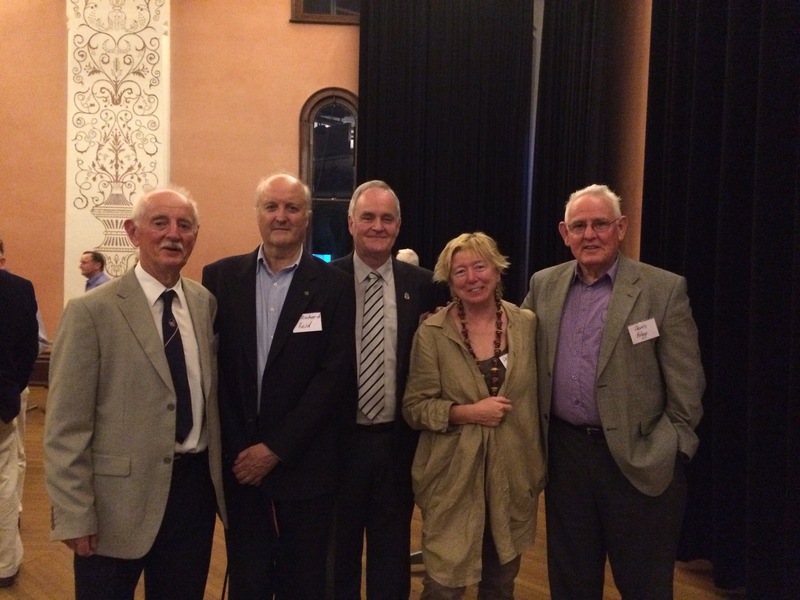 Will Stubbs, a former criminal lawyer from Sydney, has been employed to managed the centre for over 20 years. While he has to balance cultural imperatives with market demand, for him cultural imperatives come first. “They bring in what they want to bring in, not what we ask for. And then we have to make it work from there’ – in, that is, the white market and art world. One of its most successful artists is Nyapanyapa Yunipingu. One wet season when the centre ran out of bark, Stubbs handed Nyapanyapa some leftover acetates to keep her busy. She filled them at the rate of five a day. As he filed them away, he noticed ‘this filigree of complexity, of abstract existence, that I’d never seen before.’ As the acetates accumulated, Stubbs realised that seeing them in random permutations and sequences would accentuate their impact – so he contacted a Melbourne digital guru, Joseph Brady, who could devise such an algorithm. The resulting Light Box became an installation in the 2012 Sydney Biennale – and Joseph Brady became so affected by Yolngu culture that he transplanted his young family to Yirrkala, where he now manages the Mulka Project at the art centre, a vast archive of Yolngu knowledge. Like Milani Gallery, Buku-Larrnggay is one of the most successful purveyors of Aboriginal art, but as different as these two models are, they are not the only success stories. 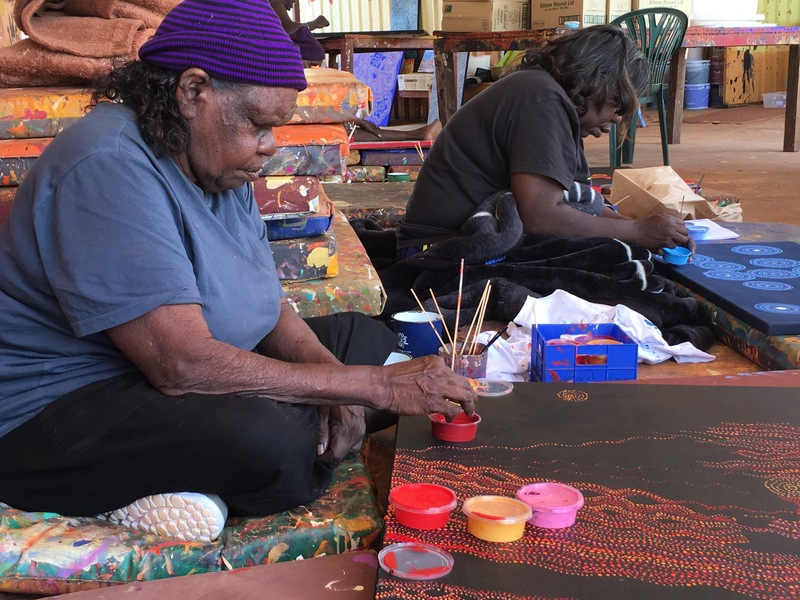 The Warlpiri-run Warlukurlangu Centre at Yuendemu, 300km northwest of Alice Springs, is also defying the post-GFC downturn in the Aboriginal art market. 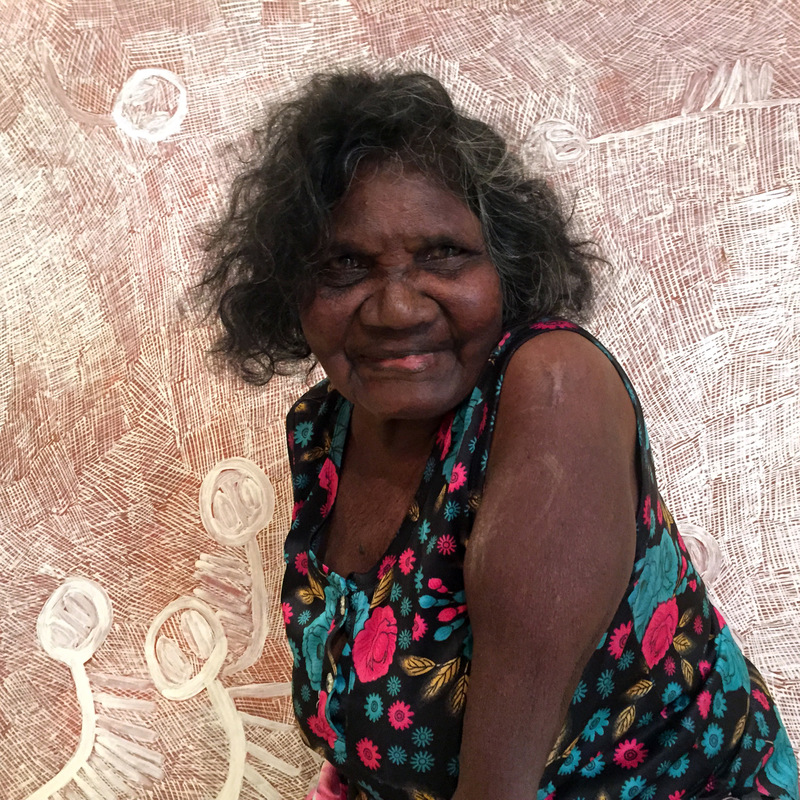 Warlpiri artist Margaret Lewis Napangardi at work at Yuendemu. 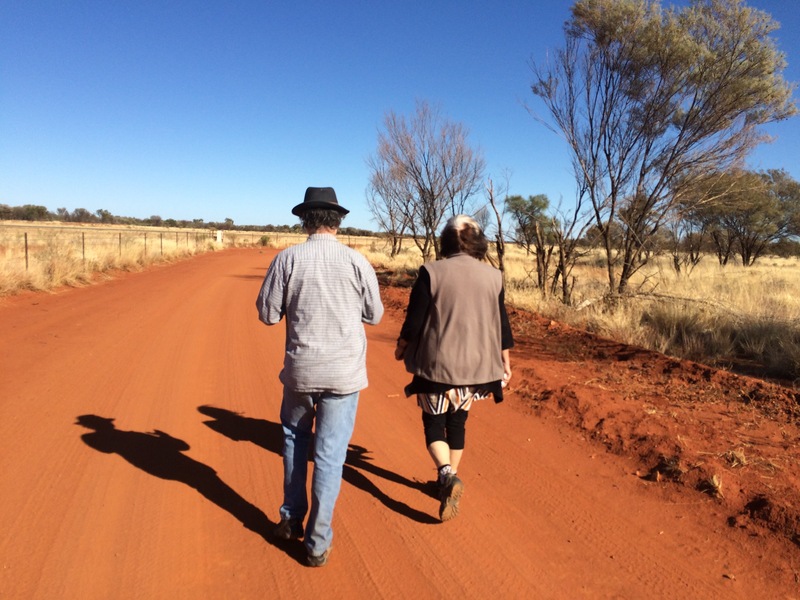 Cecilia Alfonso with Warlpiri foundation artist of Warlukurlangu, Paddy Stewart. 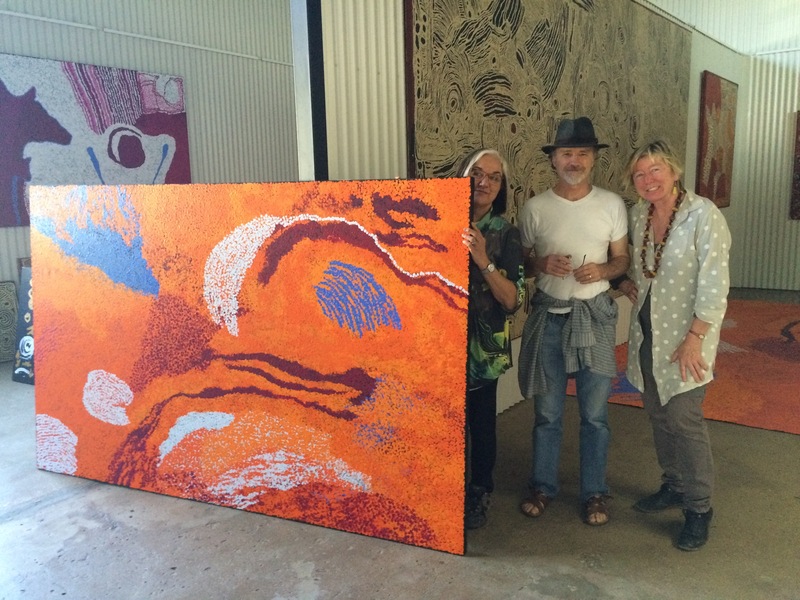 It’s another twist in the ‘authenticity’ debate around Aboriginal art. 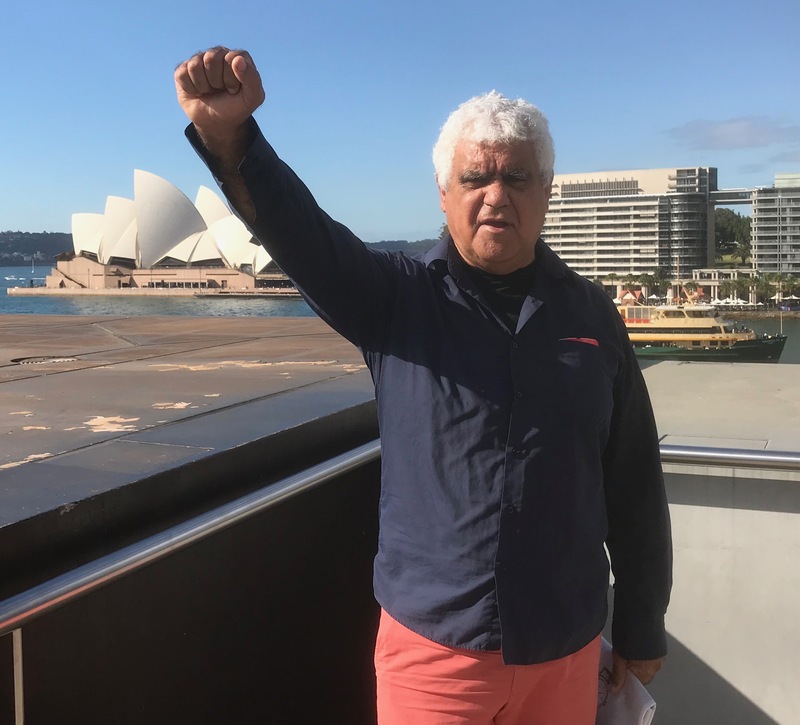 In 2002 Bell decried how the white-controlled Aboriginal art industry privileged art from remote areas as more ‘authentic’ than that by urban artists such as him even though ‘we paid the biggest price.’ Bell’s genius is to leverage this loss to get a return. “When I started working with Richard [in 2003], we were selling paintings for $2000”, recalls Milani, but ‘the more people he offended, the more I put his prices up!’ … and the more this white clientele bought Bell’s paintings.